The B&Q proposal in Wandsworth Town was approved by 9 votes against one at January’s Planning Application Committee. However, reading the minutes of the PAC (download HERE), we noticed a number of misleading statements from officers. And it seems to be a recurrent issue: in the Peabody decision in 2012, we already gave evidence of similar mis-information propagated by Council officers. Unfortunately the officer response is not supported by any evidence. Worse this is wrong and misleading in the officers’ report, as it says for example (page 7) that the smallest tower B3 is 8 storeys but it fact it is at least 9 as the developers confirmed to us (during a meeting with the Wandsworth Society in autumn 2017) that they counted the podiums as 1 single floor instead of 2. And according to Wandsworth own rules, 40.55m is equivalent to 40.55/3.5m = 11.6 floors! This simple fact cannot be ignored by officers as this was clearly highlighted twice as a major issue by the Wandsworth Society in their objections (HERE and THERE) and therefore was deliberate. This is false as the scheme consists of 3 independent podiums (as confirmed to us by developers). Page 7 of the officer’s report, one can see: Plot A, B, C. There is no podium under the entire site (due to contamination, car parks will be at ground level). Even if considering that the contamination of the underground of the current site justify some global treatment at start, it does not mean that the elevations cannot be phased as suggested by some councillors. Again, this cannot be ignored by officers and was at least misleading. A phase approach could have been discussed differently. In the past, we highlighted similar misconduct from officers. We gave evidence of the mis-representations propagated by Wandsworth planning officers in the Peabody St John’s Hill decision in 2012. CJAG is sending an official complaint to Wandsworth Council. 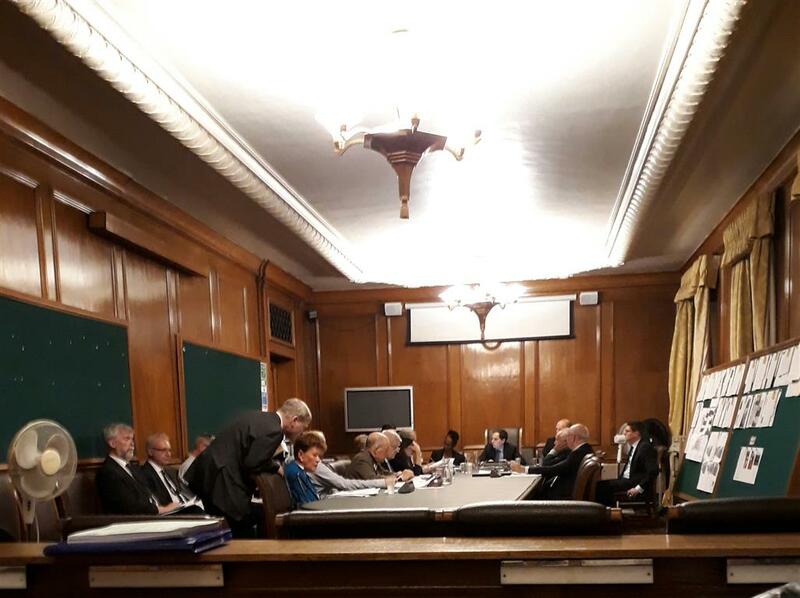 This is a typical example of one of the many issues occurred by the constraints of the PAC meetings chosen by Wandsworth Council: by refusing any representation from amenity societies and community groups, councillors are used to rely only on officers who seem to seek any way to justify the policies promoted by the Cabinet..